It's no secret that September is my absolute favorite month of the year! Leaves start to change, air turns crisp, the squirrels are busy, and most of all it's my birthday month!! So I had to help make this month's Mixed Media Monthly Challenge a little special... we're welcoming one of my favorite mixed media artists to guest design with us: Julie Balzer! 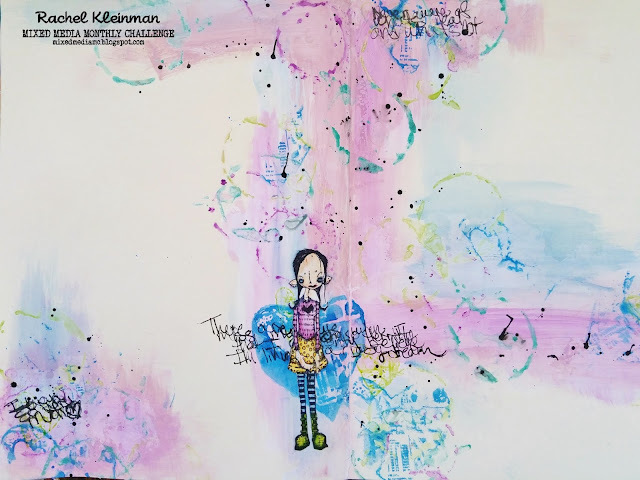 Make sure to visit the Mixed Media Monthly post to see her amazing creation and how she was inspired by our photo inspiration! Here is our photo inspiration challenge! I was inspired by the variety of colors and the circles throughout the photo. I chose to tone down the colors and make them more pastel. I used a lot of Gelatos that I diluted with water to get a lighter color. The design of my art journal page was inspired by Dina Wakley and Julie Balzer. The cool image is from Stampotique called "Minkygirl". I colored her with Faber Castell Pitt Pens using colors drawn from the photo. Can't have a challenge without a PRIZE! There is a pretty awesome one up for grabs. Brave Girls' University is opening its doors September 1!! Angela Magnuson is the owner/creator of Unity Stamp Co and she's also a Brave Girls' Club contributor. 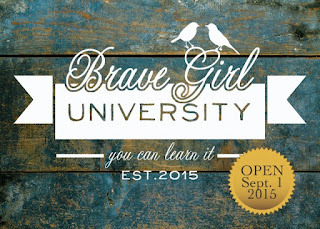 She is giving away a one month membership to the BRAND NEW Brave Girls' University!! Make sure to check out this great new online course! 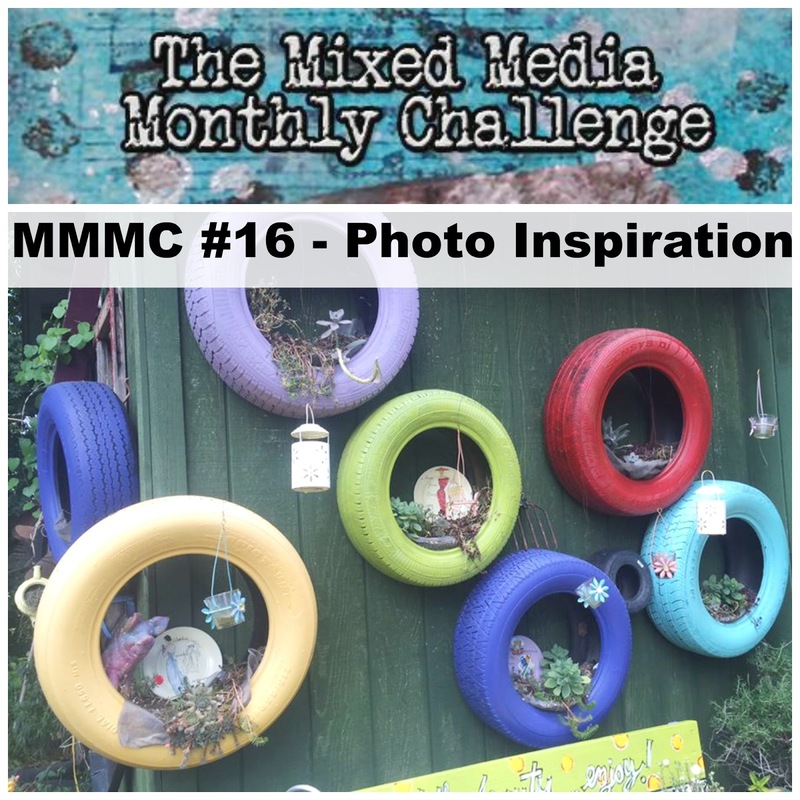 You have the entire month of September to enter your photo inspired mixed media projects! Check out what the rest of the team created (including Julie Balzer's project!) over at The Mixed Media Monthly Challenge! Ranger Dina Wakley Media Gesso, White, 2 oz. Wow!!! This is beyond amazing! Love all the circles you've repeated in the different colors - it pairs with that inspiration image just perfectly. 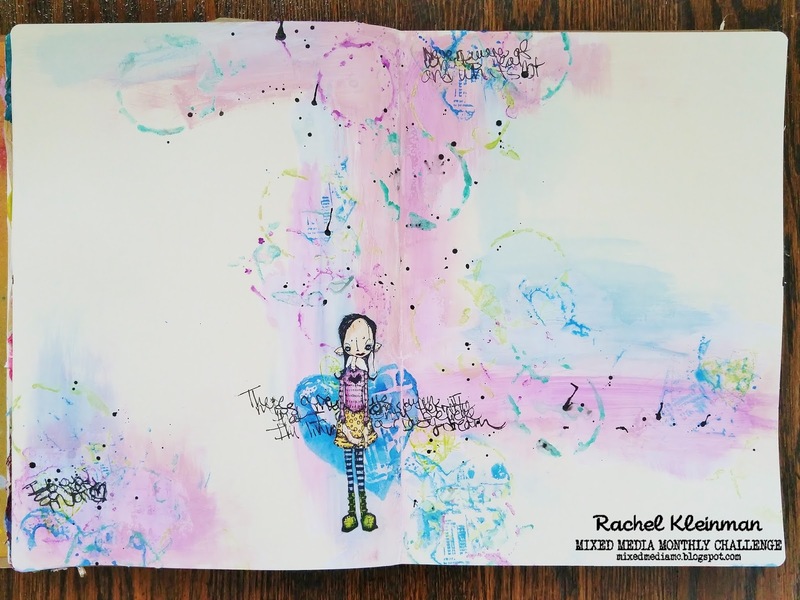 I absolutely Love your art journal spread! 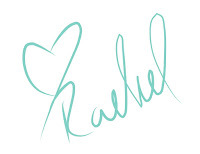 I love how you toned down the colors to better suit you and what an awesome way to write in your journal. 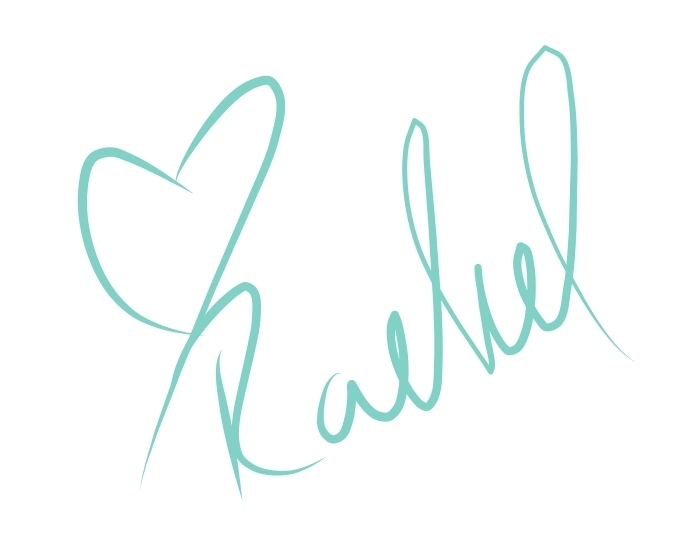 I don't normally write in mine because it can get so personal, but I do love that idea. 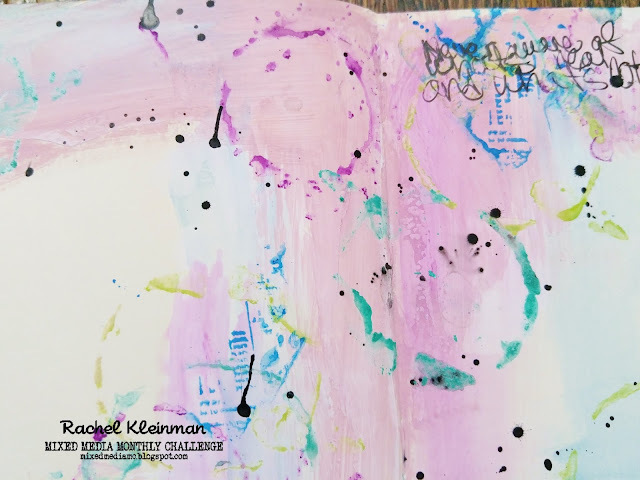 Really pretty Journal page! Although the Stampotique stamps are not really my favourites, the Minkygirl brings a great contrast to the "girly" colours and "sweet" background, fabulous! Such great grungy goodness! Love the white mixed with these colors and the image! j'adore tout ! les tampons ;-) et le fond est super ! 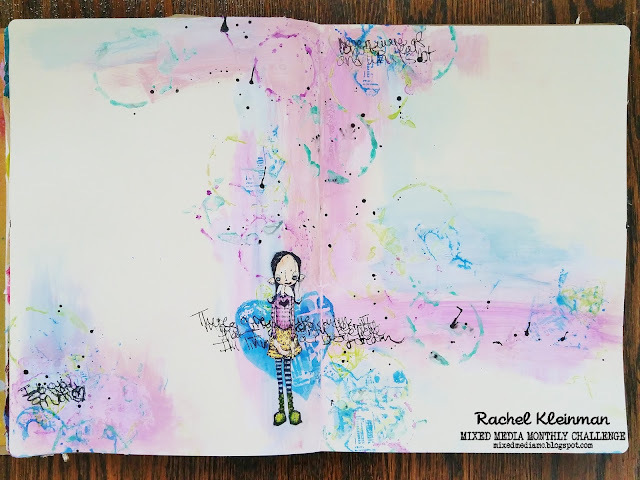 I love the colorful and airy feel of your beautiful page spread. Blessings! very beautiful background and stamped image! Love the colors on the white background. Thanks for the inspiration. I love how you wrote underneath the girl. Very nice touch. love this. fabulous composition. and love how u did the journaling. Love the colors and their softness -- it helps your focal point stand out really well. Lovely use of colors and forms and great image! 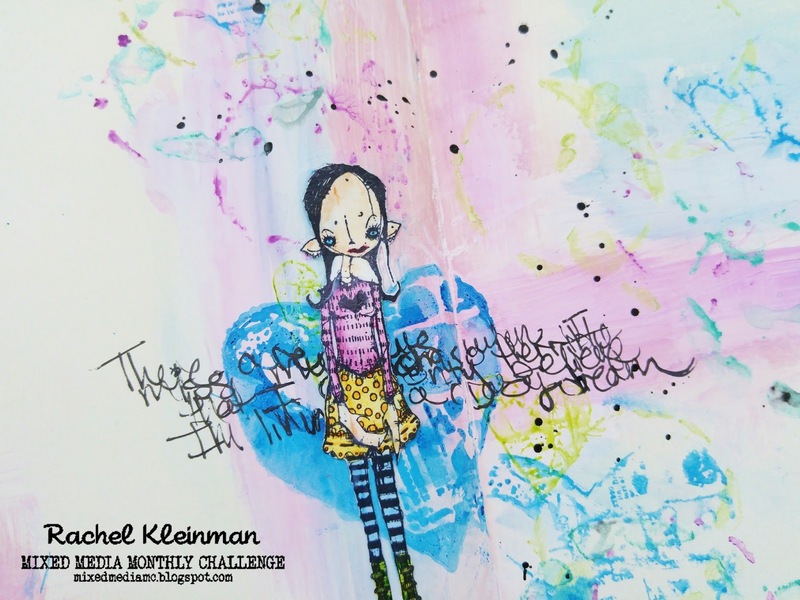 Gorgeous art journal page! LOVE the colors, the stamped image.. just fantastic!! Unity Hop - with VIDEOS!